McEwan’s books are boundless in their depth and beauty, baffling and oblique, and even mystifying in craft, narrative and technique. There is nothing quite like the fictions of Ian McEwan in British literature. Though quintessentially ‘English’ in essence, his books are rendered unique, by the shocking precision of language, the wonderful economy of the prose and his macabre explorations of uncharted territories. McEwan’s books are boundless in their depth and beauty, baffling and oblique, and even mystifying in craft, narrative and technique. And though, some of his recent books have been unfortunate missteps, with Nutshell, his latest book, he evokes the haunting resonance and shimmying splendor of his earlier novels such as Enduring Love, Saturday and Atonement. Nutshell is an intelligent and compelling novel that uses Hamlet’s plot as a backdrop and yet is extremely captivating and utterly original. McEwan’s eerie wordplay and irresistible subtlety of prose immerses the reader from the first delicious sentence to the last. The novel is narrated by an unborn foetus from within the confined boundaries of its mother’s womb. Like Hamlet, the unnamed foetus bears witness to an affair between his mother, Trudy, and his uncle, Claude. This nefarious duo is plotting to kill his father. Suspended in the amniotic environ inside his mother, he tries to make sense of the perilous world outside by eavesdropping on surreptitious conversations and sly murder plots. 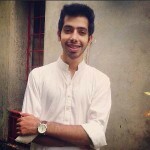 Though, the foetus here, like a cookie-cutter devise in a postmodern novel, is an unreliable narrator, he tries to convince us, or albeit himself, that he understands the chemistry of the bleak human world and its secrets. His father, John, is a poet and publisher, struggling in both, his professional and personal life. Desperate and eager to please his wife he comes off as a romantic and schmaltzy character, until a later revelation about him shatters our expectations. Trudy, his wife, is a cunning and manipulative woman whose love for him has been exhausted and who has become lustfully enamoured by his younger brother, Claude. And together they are planning to kill John in order to buy themselves a future together, with the inheritance of a multimillion pound London mansion, a cherry on top. However, as this helpless foetus suspended in time nears his birth, the revelations get more startling. His father’s affair with a young mistress, the bizarre nonchalance and unexcitedness of his parents for his arrival into this world and the dissolution of their marriage even before he is born make him ambivalent and cross in equal measures, though, we can hardly blame this unborn character for his vexation. Who would want to enter a world full of venomous lovers and murderous plots, anyway? As the protagonist lingers on the periphery of his arrival into the treacherous world, McEwan flourishes the novel with a galloping climax that makes for an unexpected yet satisfying conclusion. 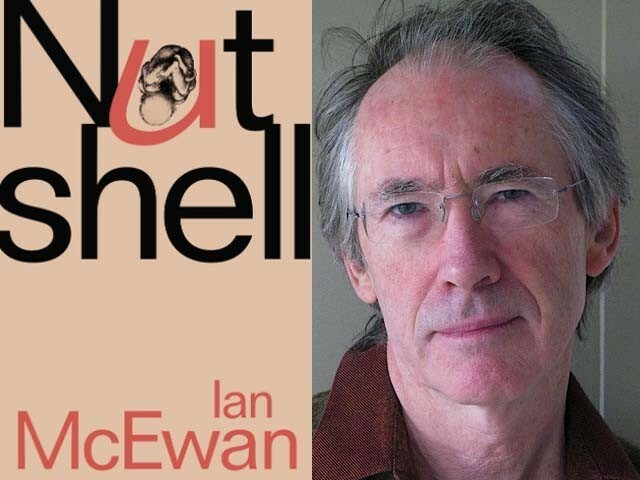 Although the novel is a complete package, one of its most enticing features is the language that McEwan uses to bring a talking-foetus to life. Still in his mother’s womb, he’s an unborn like no other, at once precocious and wise, sassy and sarcastic, gifted with a startlingly profound wisdom. His lengthy broodings of the yet unexplored world around him are fuelled by McEwan’s obsession with the quandaries of life and his lengthy provocations of scientific dilemmas. He’s a troubling narrator who the reader at once doubts and reckons with, sharing his ambivalence about the world. Despite the short length and calculated precision of the book, it tries to immerse the reader into the labyrinthine confusion of the world. The deft evocation of an extravagant and kaleidoscopic lifestyle of the characters, intermittent first-person narrative digression, lengthy musings on moral accountability and dissections of stealthy motivations, the fears and worries of its troubled protagonist, turn the book into a thick broth-stew of a novel that immerses the reader in its endlessly desolate world. As a master of the form, the authority and control that McEwan has gained allows him to be effortlessly experimental. And his mischievous inventiveness has never been on a more blatant display than here, in his witty and ingenious new book. Not quite on par with his early masterpieces, Nutshell is, nonetheless a departure from his onerous and exasperating later work. It is a gem of a book, a book that contains a plethora of secrets, revelations, betrayals and plot twists. But despite the book’s indebtedness to borrowed plot, despite its trite exploration of the mundane minutiae of everyday life, it does something new and playful and with this book, McEwan achieves new heights in an already soaring career. Well that is one interesting plot by Mr. McEwan.